In 1975 Köhler and Milstein developed the first monoclonal antibody (moAb) by fusion of murine myeloma cells with B cells. 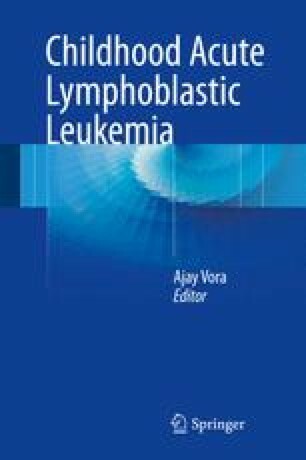 Over the past decades several moAbs for different indications have been approved including those for solid tumors as well as hematological malignancies. They are effective directly, via antibody-dependent cell cytotoxicity or via complement-mediated cytolysis. In addition to naked monoclonal antibodies targeting tumor antigens several strategies have been developed to improve efficacy of the moAbs including moAb-drug conjugates, moAb-radioisotope conjugates and moAb-T cell conjugates with varying results. Recently moAbs targeting checkpoint inhibitors have been developed and have shown promising results in solid tumors as well as haematological malignancies. These immunotherapies e.g. in combination with standard of care might lead to better and more sustained remission rates. Furthermore the timing of administration of antibodies with or without standard of care might be a useful strategy for the therapy of the patients. I would like to thank Arend von Stackelberg, who introduced me to the exciting world of ALL, the ALL-REZ study center (C. van Schewick, F. Meyr, T. Groeneveld, A. Kretschmann and J. Dobke), Berlin, Germany, and Ansgar Santel for his continuous support. Mathur R, Weiner GJ. Picking the optimal target for antibody-drug conjugates. Am Soc Clin Oncol Educ Book. 2013. doi: 10.1200/EdBook_AM.2013.33.e103.